Extended Mass Mail Merge is a powerful feature available from Salesforce that unfortunately is not turned on “out of the box.” Natively you can use the “Mail Merge” button in the Activity History related list to create a single Word documents that populates (i.e. mail merge) with data from the record you are viewing. However, if you want to have Salesforce to create Word documents for hundreds of records, the Mail Merge button would be an unbelievable tedious way to accomplish this task. Fortunately “Mass Mail Merge” accomplishes this quite easily. 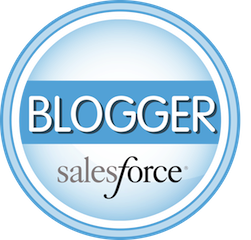 If you have not installed the Salesforce plugin for Microsoft Word to create Mail Merge templates, see the link provided. 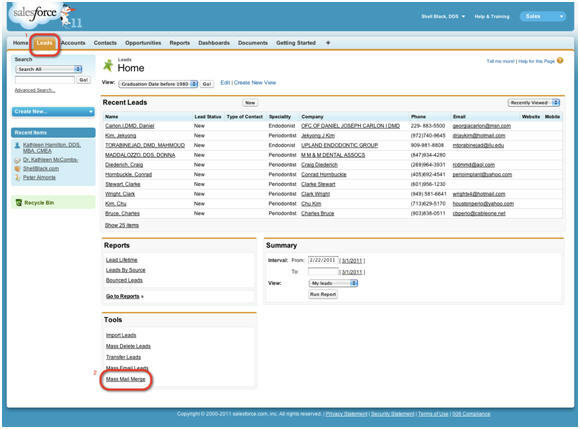 First step is to open a support Case with Salesforce and ask that the feature be provisioned (turned on) for your org. Activation might take a day or two so plan ahead! As to how to use the Mass Mail Merge, we will use the Lead object in the step-by-step tutorial below, but the process for Contacts is the same. At the top of the next screen, select an existing View, or create a new View by clicking “Create New View.” The results of the View will be displayed below. Select individual records using the checkbox to the left of the records, or click the checkbox at the top of the list to Select All records. When you’ve made your selections, click the “Next” button at the top right. On the next screen select what you want generated: Documents, Envelopes and / or Labels. Also you have the option of logging an activity during the Mail Merge process (recommended). Click the “Next” button at the top right to continue. Select the templates you would like to use for the Mail Merge. Click the “Preview Template” button to confirm you have the right template. NOTE: Make sure that you pick a Template designed for Leads when mailing to Leads, and conversely use a Contact template when mailing Contacts or the mail merge will not work correctly. Under Document Options – you can choose a separate Word document for each recipient, or one Word document. Click “Finish” and the job will process. 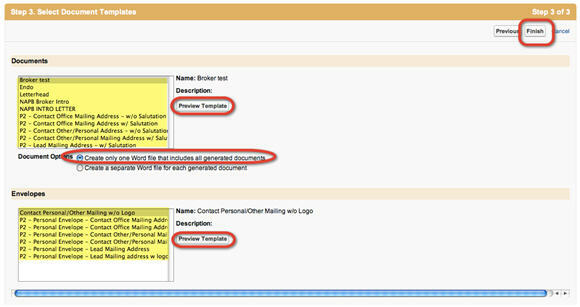 The supported document types for this feature are documents, envelopes, and labels. For documents, choose whether to create one Word document that includes all output or a separate Word document for each record. Depending on the size of the job, Salesforce may attach the file as either a Word document (.doc) or a Zip file (.zip). If the attachment size exceeds your organization’s maximum allowed email attachment size or if your administrator has set all mail merge documents to be saved to the Documents tab, then your generated documents will be automatically saved on the Documents tab and you will receive an email with a link to their location. Extended Mail Merge supports the following additional environments: the Mozilla Firefox Web browser and the Apple Mac OS. Furthermore, it does not require the installation of an ActiveX control. Standard mail merge and Extended Mail Merge support versions of Microsoft Word 2000 and above. Standard mail merge currently supports Word 2007 templates saved in .docx or .dotx file formats, but Extended Mail Merge does not. The selected mail merge template(s) total size cannot be larger than 1 MB. For mass mail merges, the number of selected records multiplied by the combined sizes of the selected mail merge templates cannot be larger than 50 MB.